There are lots of 3-in-1 coffee mixes available in the market nowadays. 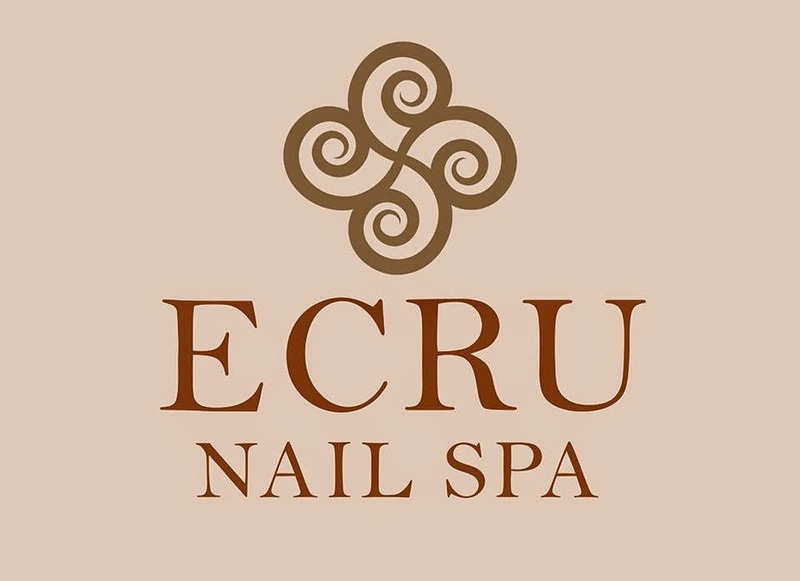 I have to admit I have not tried all of it but one of the brands one of the brands I have tried is pretty good! Super Coffee! Lots of different types of variants that you don't usually find in other brands. Super Coffee is a brand from Singapore and is now here in the Philippines. A brand of great quality that uses only world class quality beans from Indonesia, Brazil, and Vietnam. Their roasting process is meticulously done to get the most flavor and aroma out of the beans at just the right time. And then it undergoes a serious liquid extraction which creates extremely concentrated coffee that is actually up to 48 times stronger than regular coffee. Amazing Coffee flavors that come in a sachet! 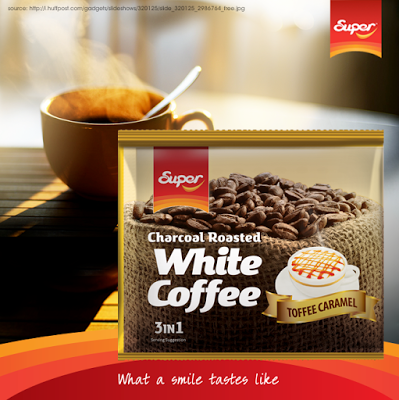 The Super Charcoal Roasted White Coffee 3-in-1 has three flavors. My favorite being the Roasted Hazelnut. Actually, this is probably almost everyone's favorite. Including me. It has a very palette friendly sweetness to it. Like a tongue's warm hug. It's not super sweet which fits my taste right now. I no longer like super sweet drinks. Only subtle sweetness appeals to my pallet nowadays. and Charcoal Roasted White Coffee Toffee Caramel. Like the hazelnut, these two flavors are also not too sweet. It's just right. Then of course, there's Super Coffee Classic 3-in-1 which comes in Original, and the Brown. The next variant is the Super Coffee Palettes which tickles the palette with the number of exciting flavors that happen in your mouth. Currently, there's Salted Caramel that gives sweet and salty at the same time. 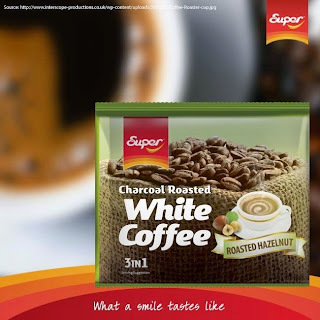 The Super Coffee Selection is set apart from the other local coffee brands because of its variety in flavors that you don't usually get from the other 3-in-1 brands in the supermarket. 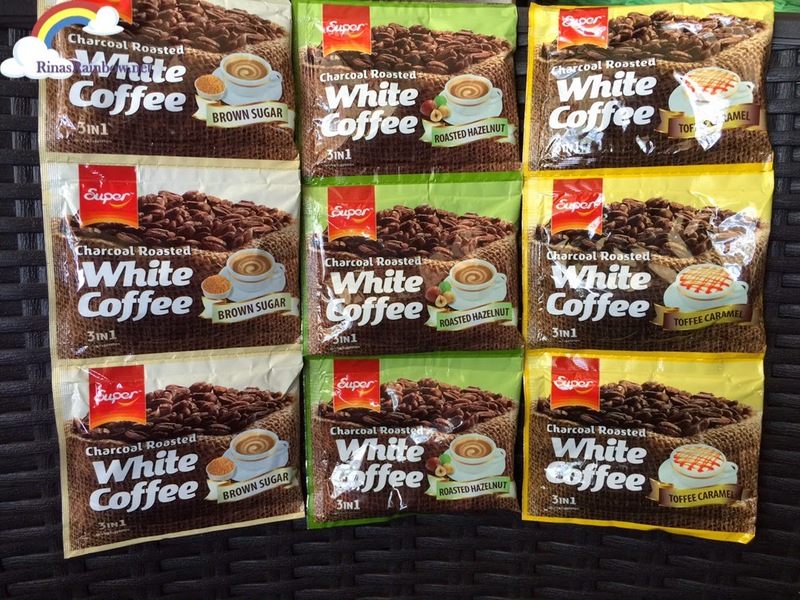 Think of it as a barista coffee you can mix at home, and for a very affordable price of only 6 Php per sachet! And by the way, they do not use coffee flavoring. This is pure real coffee goodness! 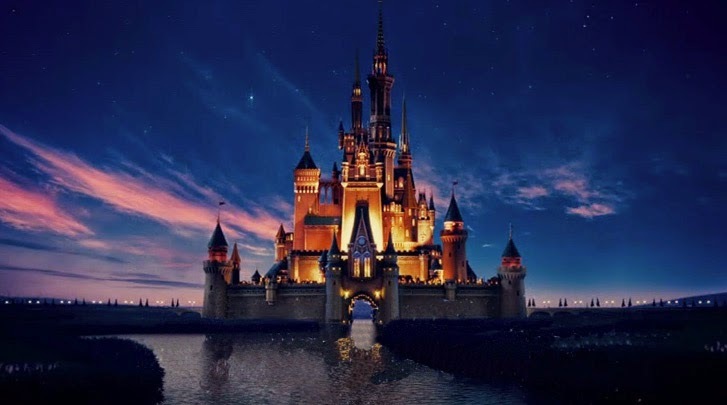 "Some persue happiness. 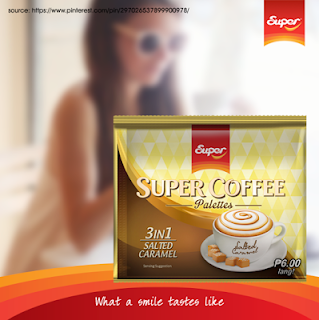 We help create them"
Super Coffee Philippines spread smiles all over Ayala MRT Station, Eastwood, and in Baguio with their dancing baristas, and free hot or cold coffee samples using their super cool coffee dispenser backpacks. 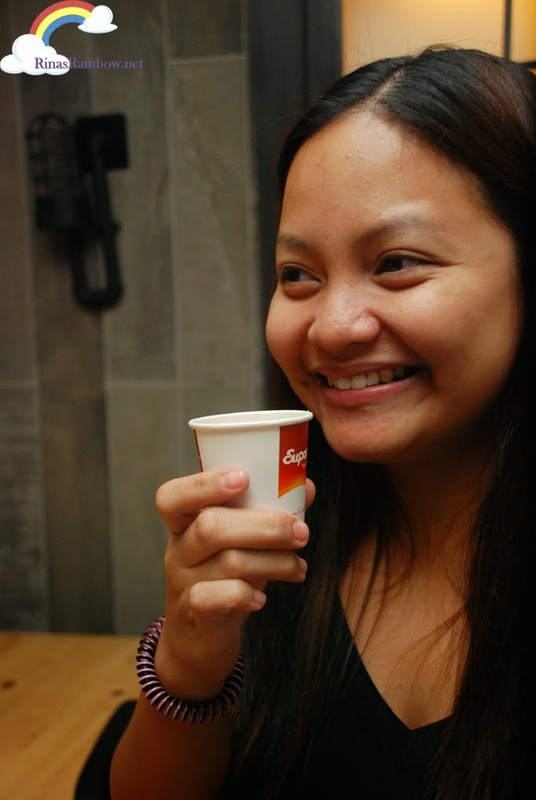 Over 3,000 cups in Baguio City, over 5,000 in Ayala MRT Station, and also over 5,000 cups in Eastwood City. 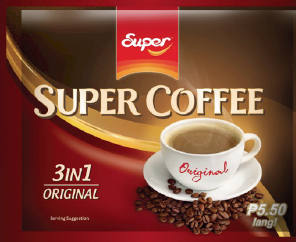 ONE YEAR'S SUPPLY OF SUPER COFFEE 3-IN-1!!! 1.) 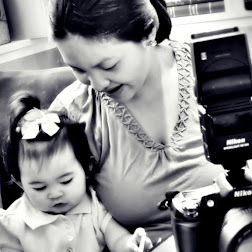 Take a photo or video of our Dancing Baristas. 3.) Spread the news and get your friends to like your post too! 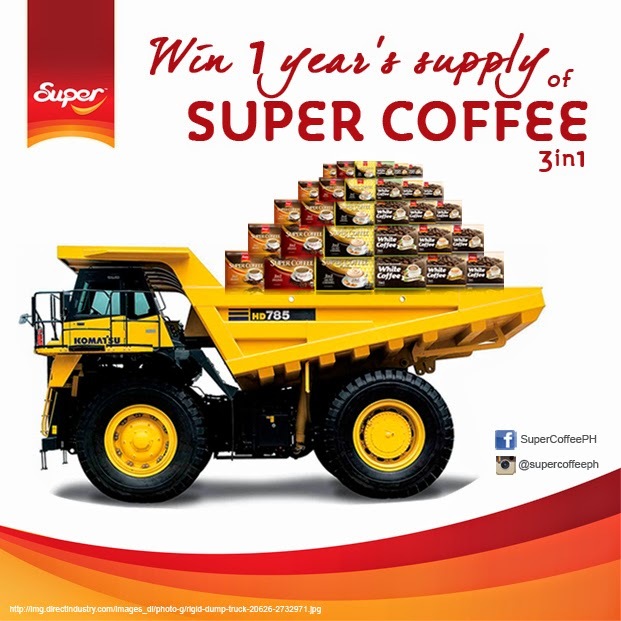 The post with the most number of likes will get the chance to win 1 year FREE supply of Super Coffee 3in1! The best of luck to everyone! Please email me your contact details so we may get your 1 Year Supply of SUPER COFFEE!!!!!! 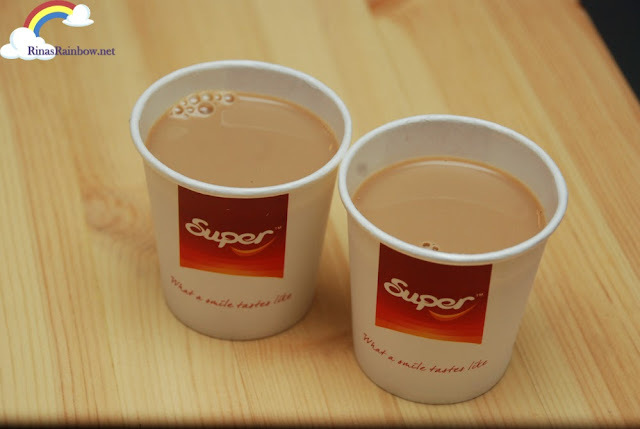 I like all about Super Coffee because I am a coffee lover. I love its creamy flavors. 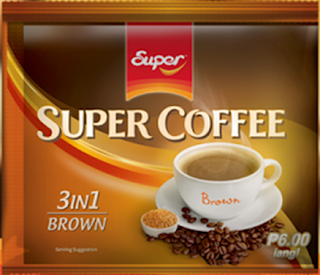 I like Super Coffee because it has many variants! 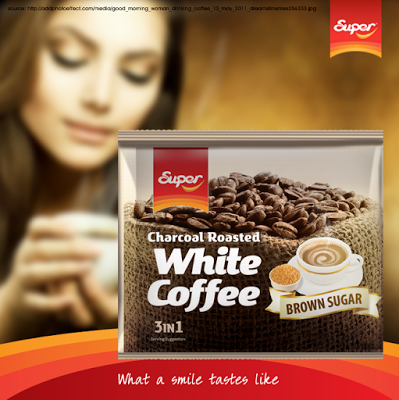 I like super coffee because it offers a lot of flavors that can satisfy one's mood for the day! It doesn't take an arm and a leg to enjoy good smelling and good tasting coffee! I love that it has different variants, so easy to enjoy something so affordable. 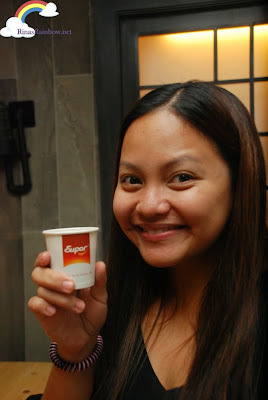 I love Super Coffee because of the Roasted Hazelnut and Toffee Caramel flavors! excited to try super coffee with hubby. i think i'll gonna love the salted caramel.. sounds yummy! I haven't tried Super Coffee yet but I'm SUPER excited to taste the Salted Caramel variant. It's the variety of flavors. Super Coffee has a lot of flavors to choose from and what I like most about it is, I can choose which flavor to drink depends on my mood! Drinking coffee every day with my wife makes me smile. It's our bonding moment every morning before I go to work. And Super Coffee will always be part of our beautiful morning. It's aroma and taste makes us energize everyday. The unique taste and aroma that make me wake up each morning with great expectations - this is what I like with Super Coffee! Afternoon Bites with Braun and Severin! BETADINE® Feminine Wash : Do It Twice A Week!